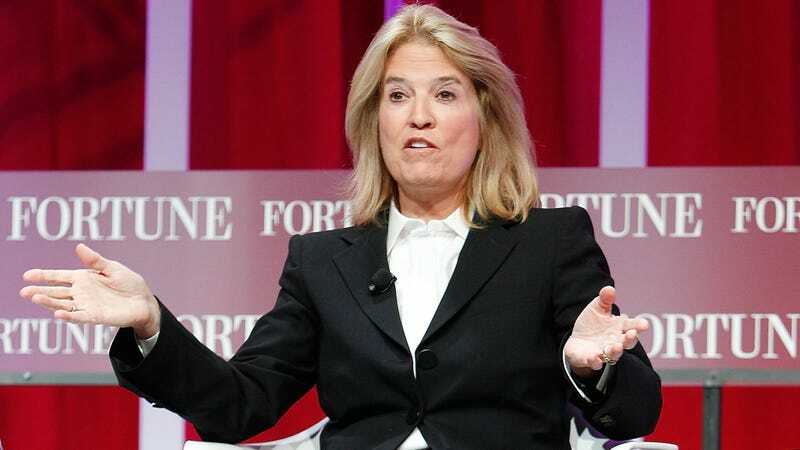 Have you been wondering what Greta Van Susteren has been up to since she ended her brief stint as a MSNBC host? Well regardless, she’s been working on a nutty app that appears to be called Sorry. The anchor-turned-developer announced Sorry this morning in a long, bizarre, stream-of-consciousness Facebook post filled with random capitalizations and awkward asides. What we know about the APP comes from Van Susteren herself. She said she doesn’t want to give away too many details yet, and “more features will roll out over time.” But what she does share about the functionality of the APP only leads to more questions. Sure it sounds bonkers. But maybe, just maybe, this APP is exactly what will restore balance to this divided nation. Imagine—if you even can—a utopia where a soap brand could simply use an APP to apologize for a racist advertisement, leaving it to the users to determine whether or not the company deserves atonement. What if We The People of APP could vote on whether a comedian is a patriot or apostate? Could we ground an airplane just by the pure force of our mass rejection of that plane’s apology? No, Mr. Creepy Cheating Senator, I don’t accept your apology for cheating on your spouse. Tap-tap: The APPoteriat have spoken! Be gone, sir! God, I can’t wait until November 14. Maybe this APP will save us. Maybe it was Van Susteren’s destiny to get booted from cable news so she could create the One True APP that will carry America through one of its darkest hours. I’m sorry, I’m sorry, I’m trying to remove it.